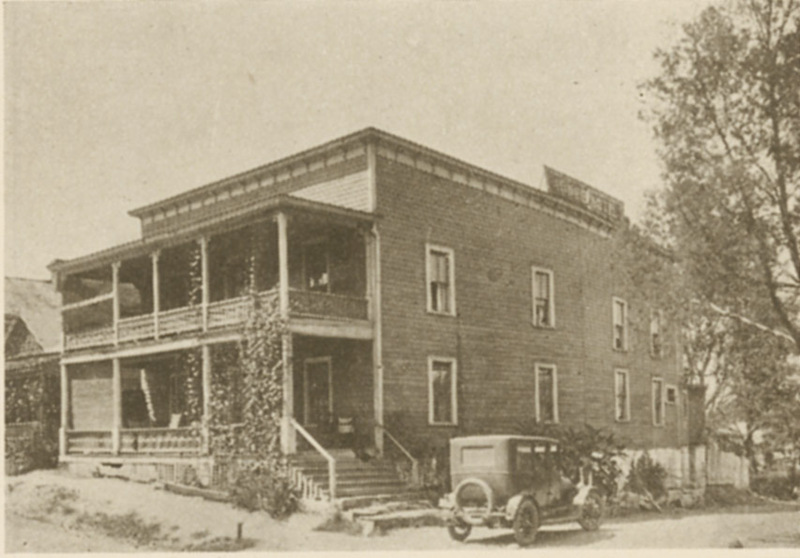 While conducting research on bygone hotels and movie theaters for this year's Preservation Durham Ghost [Building] Tour, I found in the 1907 Hill City Directory that the Jones Hotel was operated by proprietor Mrs. Rodelia Jones. 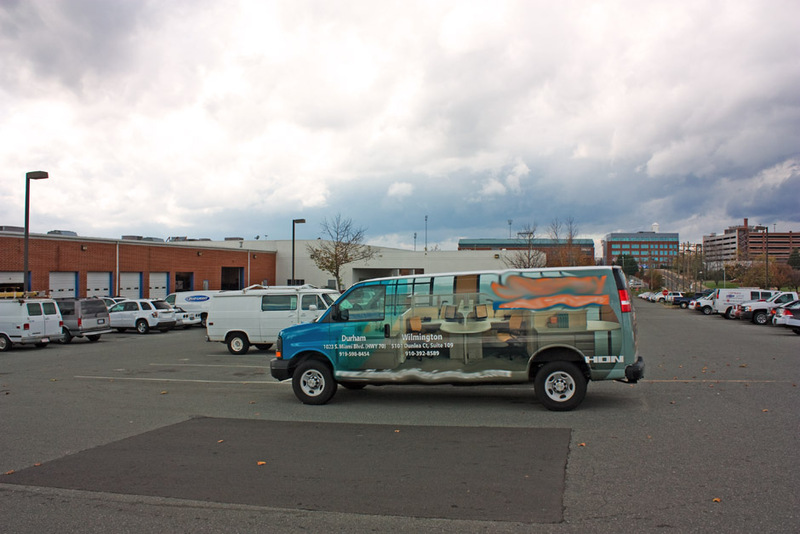 The directory entry also lists the address as 502 Ramsey Street and a phone number (585 A)! Having a phone must have been no small feat for a Hayti hotelier. Anyway, perhaps there are ED readers who are kin to this woman and can add more here. Rodelia is certainly a recognizable (and unusual) name. The 1907 Hill directory of Durham City can be accessed for free, here. thanks Andy. funny that it isn't listed as a business in the 1911 directory, which, working backwards, is why I concluded the date I did. perhaps there was a shut down and proprietorship change. Rodemia is an even more unusual name than Rodelia, so I hope that someone's google search for a relative will bear some fruit. 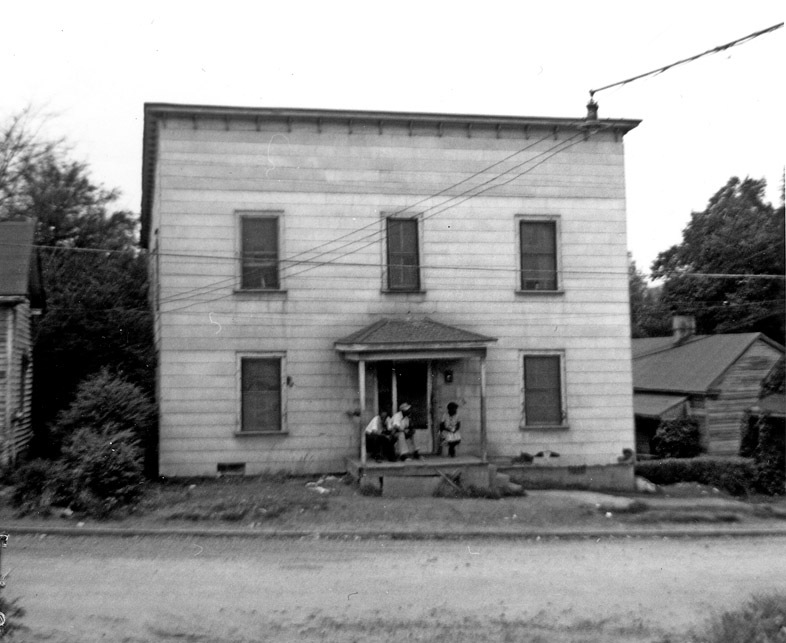 The Jones Hotel, one of the two early hotels of Hayti (the other being the Warren Hotel on Proctor St.) was established sometime prior to 1907, and was run by Ms. Josie L. Jones. There is no history that I can find with regard to the hotel. By the 1940s, it appears to have been out of business, and its signature double front porch gone. 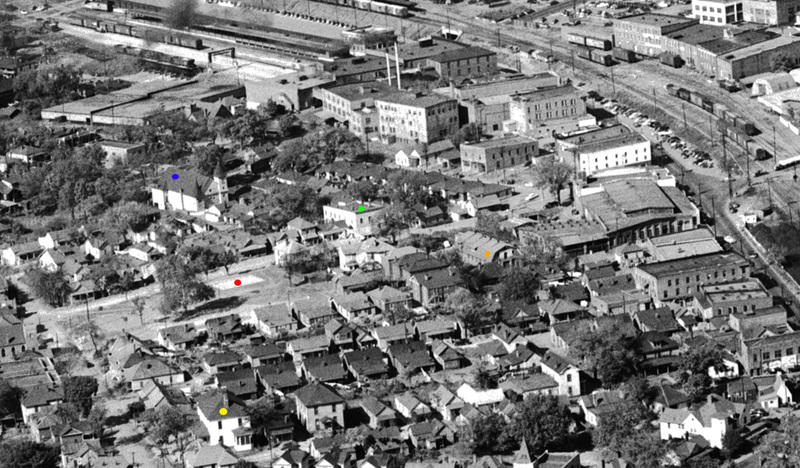 Above, an aerial picture (mid-1940s) showing several locations I'm posting on this week. By 1965, when it was being sized up by the Redevelopment Commission for demolition and eminent domain via urban renewal, it was barely recognizable. This land sat abandoned for many years after being plowed under in the late 1960s. In 1993, it was redeveloped as Rick Hendrick Chevrolet. The site of the Jones Hotel is now part of their parking lot.